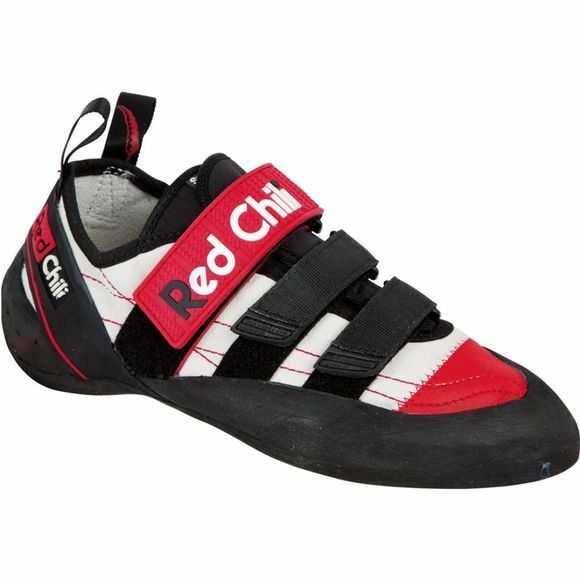 The Spirit VCR by Red Chili is famous for its perfect fit, durability and reliability on small foot holds as well as for friction climbing. It can make you feel at home on all types of rock, making it a sought-after all-round climbing shoe for the more technical climber or boulderer. It utilises the triple hook and loop strapping to hug your foot, maintaining a tight, focused and sensitive fit. In addition the firm midsole gives you power and support for bouldering as well as a wide variety of routes. The Impact Zone feature adds comfort to the heel when jumping off boulders or belaying.